Cardiff City’s transfer embargo has been lifted making them eligible to sign players this summer. 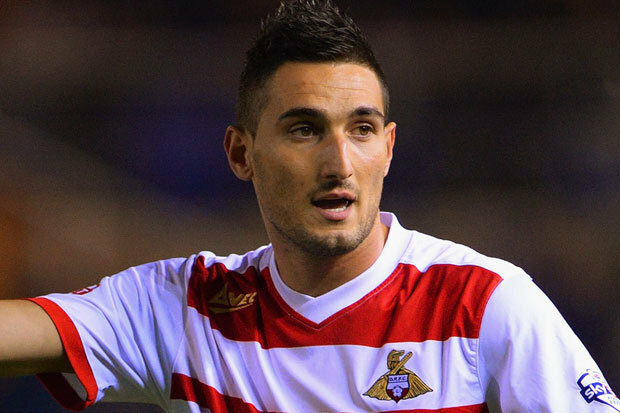 Former Red Devils player, Federico Macheda has his future endangered with the lifting of the embargo. He joined Cardiff in 2014 after a long history of long spells in different clubs while still signed to his parent club Manchester United. He failed to make his mark at Cardiff, so he was sent on another loan to Nottingham Forest this year but the club recalled him back. Cardiff were not able to buy players since January after they breached the Financial Fair Play rules but the Football League made the announcement that the embargo had been removed when the club removed Russell Slade from his position as manager. The club has begun looking at potential summer targets for the coming season, making Macheda a marked man for sale. Federico Macheda who is just 24 years of age has played for several clubs since breaking away from the Lazio youth team to join the Red Devils Under 18 in 2007. He eventually made the senior team of the club playing until his loan spree started. First he played for Italian side Sampdoria in 2010, then Queens Park Rangers, VfB Stuggart, Doncaster Rovers and even Birmingham. Despite displaying a fierce appetite to get his career back on track at Cardiff scoring six goals in 13 league starts and making eight appearances off the bench, he was still sent off to Nottingham as the club managed their FFF situation. With the club out of the situation and with the chance to get more players to contribute in the coming season, Macheda might need to look for another club or enjoy lesser playing time as he is already used to.